Teaches the target audience (middle and high school girls) about biology to inspire them to explore STEM fields. This level represents the chloroplast organelle, and the islands are inspired by thylakoid disks, a structure in the chloroplast that performs photosynthesis in plants. 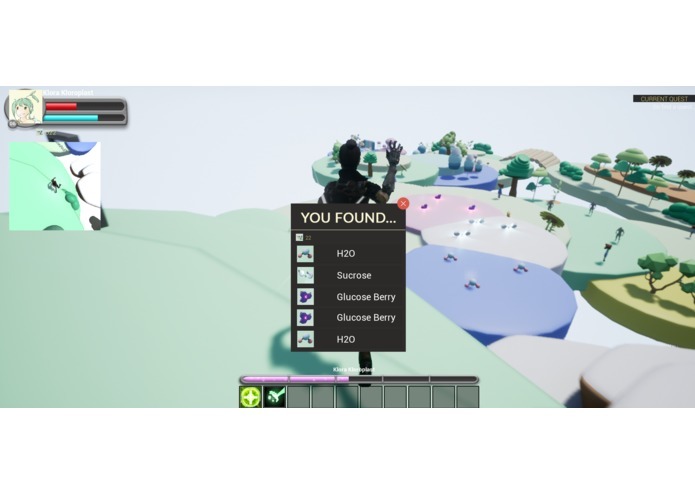 I made the 3D models in Autodesk Maya, then uploaded them onto Unreal Engine 4 where I built my level and assembled my models into a game via visual scripting. Trying to debug my code, but luckily unreal tells you the exact location of the incorrect node. The artwork as a result of it. 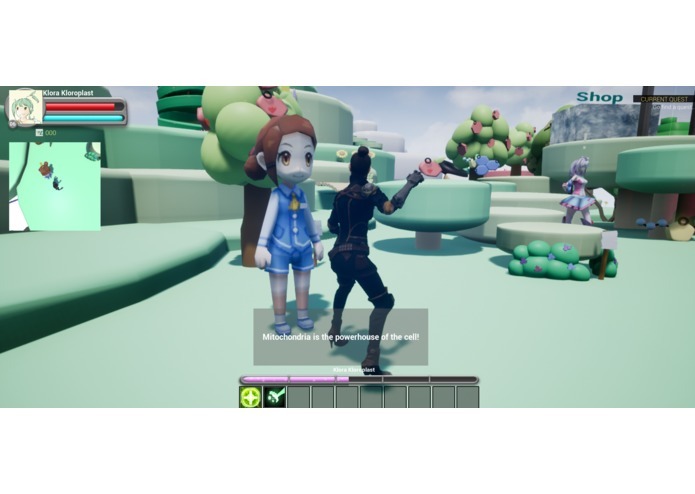 How to implement RPG gameplay elements (such as progress bars, health/mana bars, NPC (non-playable character) dialogue) through Unreal Engine's visual scripting language. A first-person virtual reality experience - the best way to learn about a cell is to become one. I also plan on implementing more levels based on different organelles. "Try it out" URL will be available in the future. Also, my file size is too big (it's an Unreal Engine project), so I submitted some screenshots and emailed the file to g2krishnan@scu.edu.